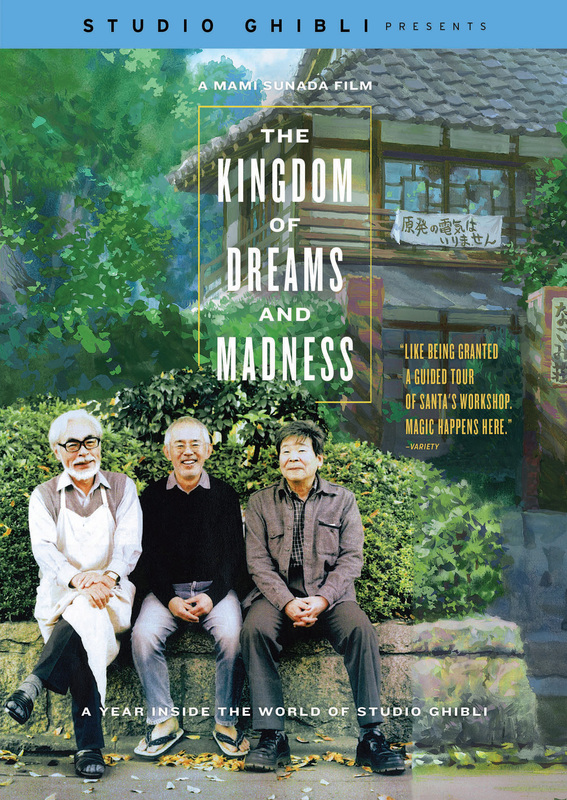 THE KINGDOM OF DREAMS AND MADNESS is a fascinating, never-before-seen look inside the quirky and wonderful world of Studio Ghibli, creaters of masterpieces like Princess Mononoke, My Neighbor Totoro and the Oscar-winning Spirited Away. Granted near-unfettered access to the notoriously insular Studio Ghibli, director Mami Sunada follows the eminent director Hayao Miyazaki, producer Toshio Suzuki and the elusive and influential "other director" Isao Takahata for a year as the studio rushes to complete two films, Miyazaki's The Wind Rises and Takahata's The Tale of The Princess Kaguya. The result is a rare fly-on-the-wall glimpse of the inner workings of one of the world's most celebrated animation studios and a rare insight into the dreams, passion and singular dedication of these remarkable creators. Plus you get to meet Ushiko, the Studio Ghibli cat!